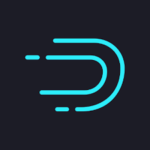 Druid relies on a distributed filesystem or binary object store for data storage. The most commonly used deep storage implementations are S3 (popular for those on AWS) and HDFS (popular if you already have a Hadoop deployment). In this post, I will show you how to configure non-Amazon S3 deep storage for druid cluster. And for this, I will use Zenko CloudServer (formerly S3 Server) as S3 deep storage for druid cluster. CloudServer is an Amazon S3-compatible object storage server that lets you build and integrate your apps faster and store your data anywhere. It was formerly known as Scality S3 Server. CloudServer helps to build and integrate S3-based applications faster, and store your data anywhere. It is an open-source object storage project to enable on-premises S3-based application development and data deployment choice.